Cook up more profits when you market your business effectively to your local customer base. 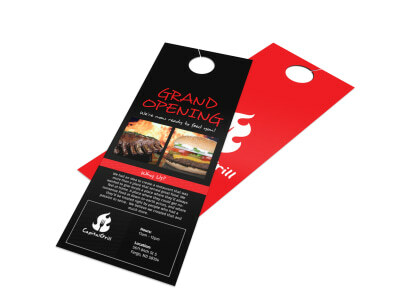 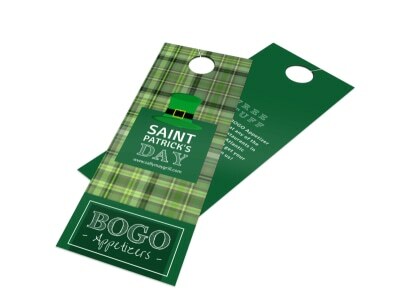 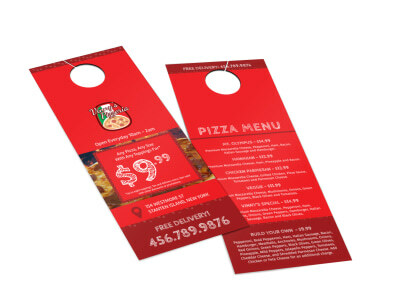 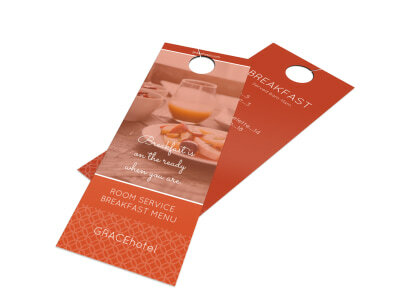 Our food and beverage door hanger templates provide you an easy way to customize a door hanger that instantly catches your recipient’s eye, so your message receives maximum delivery power. Showcase upcoming specials, announce your grand opening, or even distribute a coupon to entice diners to give your eatery a shot. 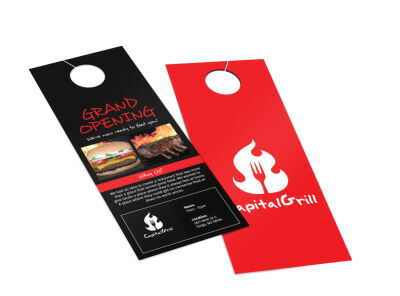 Upload images, add and edit text, select fonts and colors, and put personalized touches on your door hangers to make them truly your own. 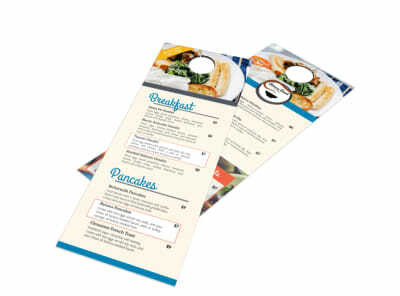 Print on demand from your office, or count on us for professional printing on high-quality paper.